March – 2014 – "Media Literacy Matters"
Common Core may not be the best solution but as a media educator, there are aspects of it that I believe to be noteworthy. As an educator, I believe it is important to provide students with ways to connect what they learn in the classroom to the real world so they can create meaning in what they are learning. Media literacy will provide students with a hands-on learning experience and promotes collaboration, critical thinking, communication, creativity, and cultural competency. These “five Cs” which are an essential part of the Common Core Standards, integrate 21st century thinking skills. In 2012, the San Jose Mercury News published an article explaining how three school districts in California helped their students develop skills that would be useful in the 21st century. Media literacy education is a great example of why the constructivist learning theory is effective. I believe the constructivist learning theory is the best way to motivate students and make them want to learn. According to Gabler and Schroeder (2002), the theory is about providing students with ways to connect what they learn in the classroom to the real world; it focuses on how students can create meaning in what they are learning. Researchers have found that people learn and explain things based on their past experiences and that what is being taught by a teacher is often very different from what students actually learn (Gabler & Schroeder, 2002). Media literacy expands on traditional teaching methods to include reading and writing using communications tools and offers a new way to learn using an “inquiry-based, process-oriented pedagogy” (Thoman & Jolls 2004, 21). This means that media literacy is not about teaching a new subject instead it can be seen as a new method of teaching, or more importantly, a new way for students to learn (Thoman & Jolls, 2004). Hobbs (2010) explains that learning requires opportunities to interact with people beyond the circle of family and friends. Communicating with people who are different helps people look at the world from different perspectives and develop a connection to the people around them. In previous blogs, I explained how teachers used media literacy to help their students learn about different cultures and how media literacy education can help minimize the harm caused by negative stereotypes. Photojournalism is one of the many tools of the media that can potentially help encourage creativity among the students and show them that something fun can have a powerful effect on society. Media literacy can be integrated into all content areas at every grade level. “By bringing media into the classroom, students can be given the opportunity to see the subject from a different perspective. For example, photojournalism is one of the many tools of the media that can potentially help encourage creativity among the students and show them that something fun can have a powerful effect on society”. Media literacy is important because it will help students develop the critical thinking skills that are necessary for understanding the complex messages presented by the media. Media literacy can help students become better communicators. Media literacy encourages creativity by promoting storytelling. Creativity is important in education and business. Finally, media literacy can also help students become active citizens in a democratic society. Gabler, I.C. and Schroeder, M. (2002). Constructivist Methods for the Secondary Classroom. Boston: Allyn & Bacon. Hobbs, R. (2010). 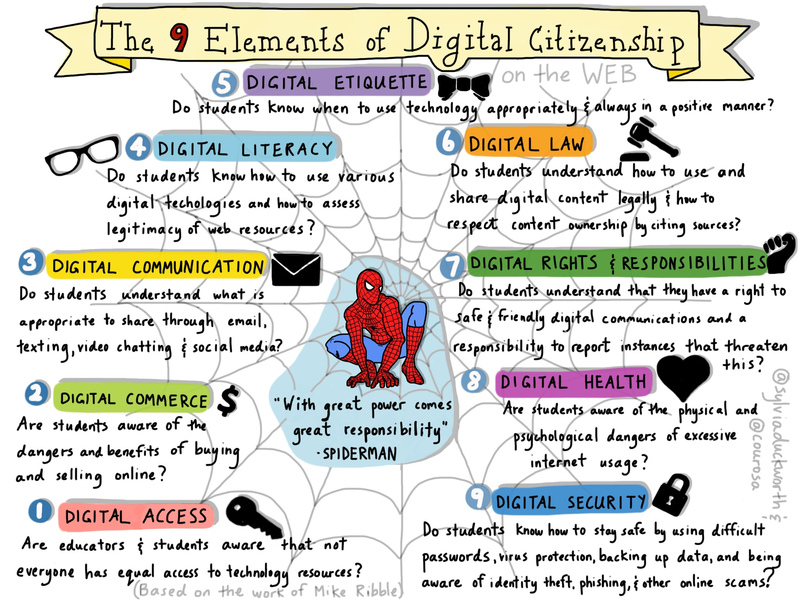 “Digital Media and Literacy: A Plan of Action”. Aspen Institute Communications. Thoman, E. and Jolls, T. (2004). Media Literacy-A National Priority for a Changing World. American Behavioral Scientist, 48(1), 18-29.